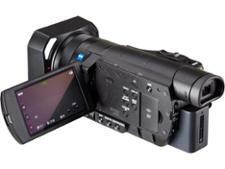 Sony FDR-AX100E camcorder review - Which? 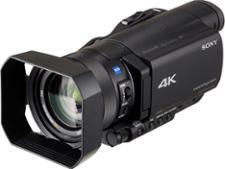 Sony's FDR-AX100E is a top of the range camcorder with a 12x optical zoom, 3.4-inch monitor and the ability to shoot in ultra-high-definition 4K. For its eye-watering price you'd expect this camcorder to deliver outstanding video, but what does our test lab make of it? We've got the all-important test lab score. We have tested 3 camcorders and found that there are 0 Don't Buys and 2 Best Buys. Looking to buy the best camcorder, but overwhelmed by choice? Based on Which? expert testing, we provide sound buying advice on features and specifications to look for, plus how much you should spend on your next camcorder. Which? 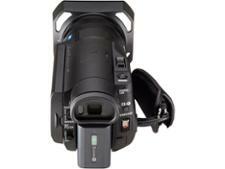 reveals the best camcorder brands for reliability with verdicts on brands including Canon and Sony. Find out which you can trust if you're looking for a camcorder to take high-quality video better than your smartphone. Which? puts camcorders through a test gauntlet, so we can tell you exactly what you need to know when you're buying a new one. We'll help you avoid poor-quality video and unreliable brands to choose the top camcorder for you.